Florida has an unfortunate – and well-deserved – reputation for being one of the most dangerous places for bicyclists. More than 800 cyclists die in collisions with motor vehicles annually, according to the National Highway Traffic Safety Administration, and 18 percent of those fatalities occurred right here in the Sunshine State. A huge part of the problem, say traffic safety experts, is a lack of bicycle-friendly roads and facilities. This brings us to another important issue: Unsafe bicycle paths. This could refer to either a bicycle lane or a pedestrian/ bicycle path not intended for motor vehicle traffic. Although property owners – including the government – have a responsibility to maintain their site in reasonably safe condition for lawful visitors, some claims may be precluded by recreational use statutes. That’s not always going to be the case, so it’s important to at least discuss these matters with an experienced attorney. Most of these types of claims will center on a theory of premises liability. That could mean any individual or entity involved with the bike trail’s design, construction and maintenance could be named a defendant. The duty of care owed by landowners, trail management agencies, non-profit groups and local municipalities is worth investigating. However, there are a number of possible defenses. Inherent risks. Riders are aware that cycling does carry some inherent risk. Assumption of risk. Rider knows the risk and accepts the possibility it might be encountered. Comparative negligence. Rider shared all or some of the blame for his or her injuries. Government immunity. This is particularly true in cases where discretionary function of government employees is alleged, though there may still be some cases wherein government entities can be deemed liable. Recreational use immunity. Applies to private property owners who allow their site to be used for free for recreation purposes. Liability waivers. Trail users sign a liability waiver agreeing not to hold the property owner or others responsible for injuries sustained while on site or engaged in certain activities. 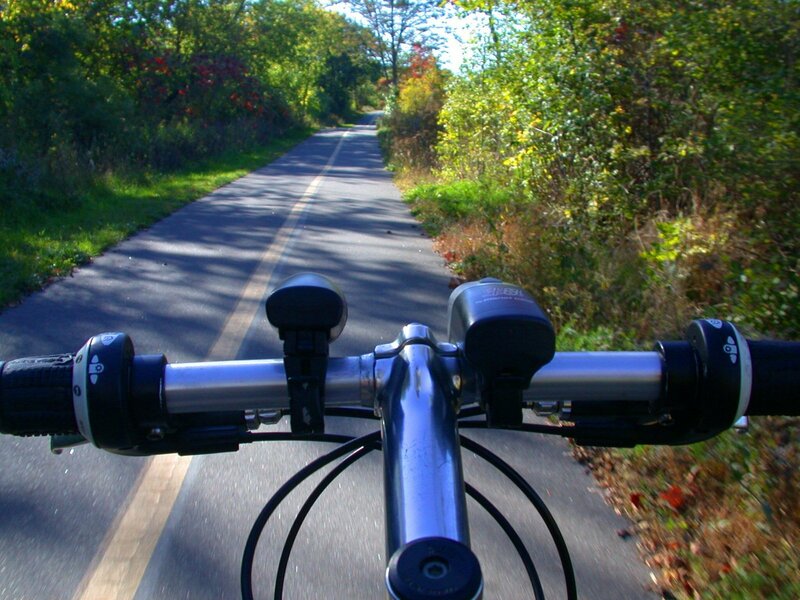 Our Fort Myers bicycle accident attorneys know off-trail bicycle riding does carry some inherent risks, but that does not absolve those with a duty to do so of exercising ordinary care in the design, construction and maintenance of the trail. In part, that means property owners have a duty to identify and address unreasonable risks (and warn users) and also to anticipate foreseeable activities that could pose harm, taking reasonable steps to protect trail users. In a recent case out of Illinois, a bicycle rider sued the city’s park district, alleging it acted in a willful and wanton manner in failing to maintain a bicycle path after his front wheel was caught in a crack on the pavement and he fell, sustaining injuries. According to court records, the circuit court granted summary judgment, finding the park district was immune from liability based on the state’s local government and government employees tort immunity act in cases involving conditions of roads that provide access to “fishing, hunting, camping, recreational or scenic areas.” The only exception to this is if the government agency or employee engages in willful or wanton negligent conduct that proximately causes one’s injuries. The Illinois Supreme Court affirmed in part. The court held that the bike trail was not a “road,” so the statute did not apply. However, the actions of the government agency weren’t willful or wanton, as cracks in the pavement are unavoidable, given the region’s freeze-and-thaw cycles. The risk of injury from encountering such a crack, the court held, were not an unusual risk, and there was no evidence presented the agency had been notified or should have known about this particular crack.